I have started wearing maxi dresses. 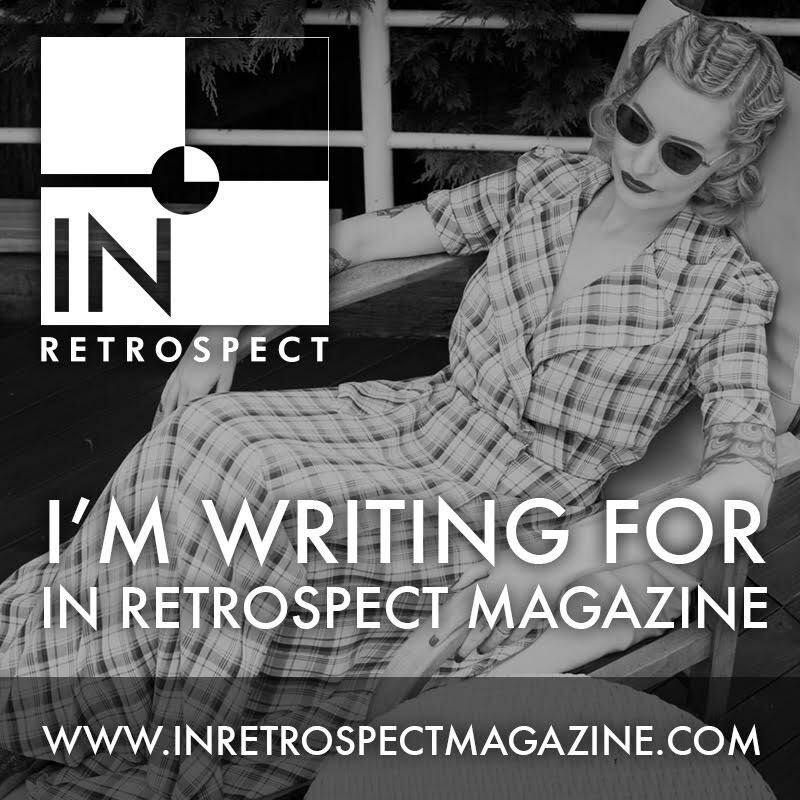 This is uncharted territory for me, so I have been experimenting with a few different brands, while I continue my search in the background for the perfect vintage maxi dress (that I am yet to find in my size and for my height). Hot Squash is a brand that specialises in creating technology-based clothes from fabrics with special properties, such as keeping you warm, cool, crease-free etc. They have two sales a year, and the markdowns are pretty spectacular. 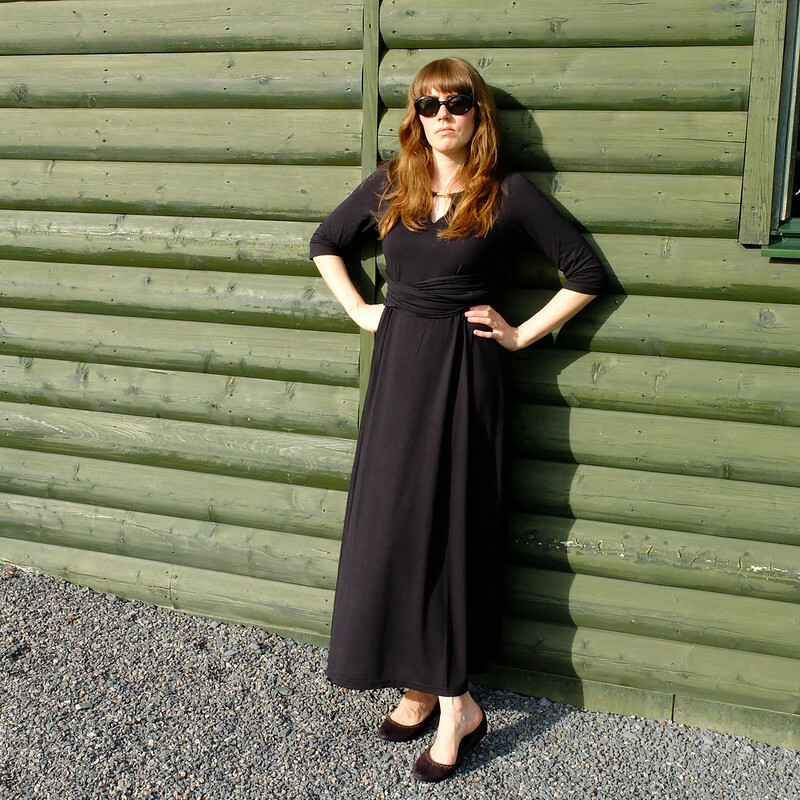 This last month I missed out on their sleeveless maxi that was reduced from £95 down to £1. 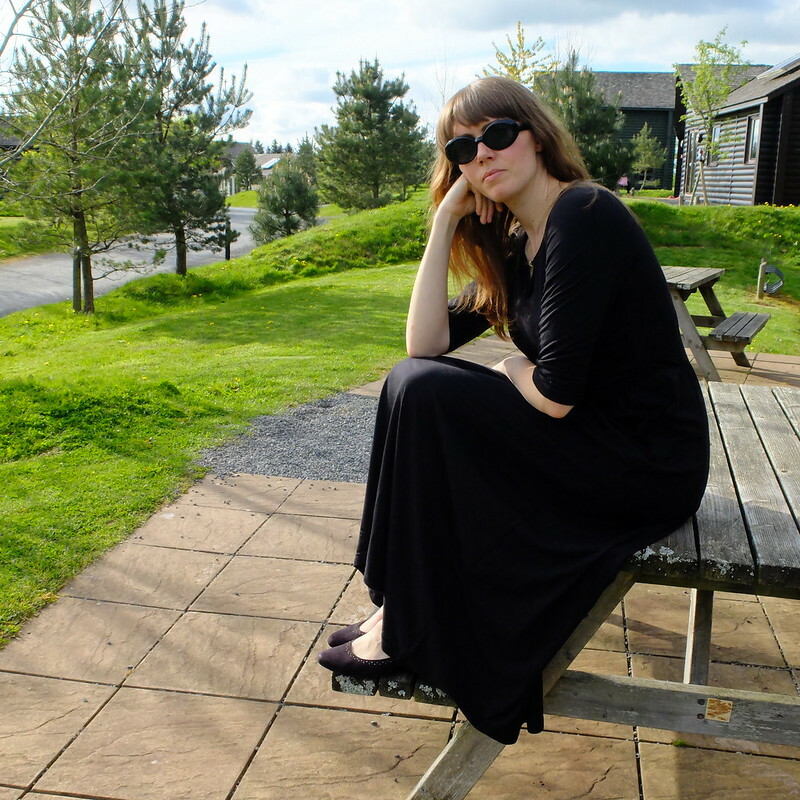 Their website always has a melt down at sale time, but last year I was lucky enough to snag this black maxi dress from their 'cool' collection for a tenner, when the full price I think was around £145. I wore it during our stay at Bluestone the other week. I've worn the dress several times now, and it washes ok, but the fabric does crease a little more than I expected it to. I've worn the dress in winter as well as in warmer temperatures and haven't particularly noticed any climate-control properties. The one thing that annoys me on this dress is the keyhole neckline. The neckline is lined a little on the inside (I think sewers call it 'interfacing') with the same jersey-type fabric, and this isn't stiff enough. The keyhole sometimes gets pulled out of shape to the side, and sometimes the little bit of fabric on the inside pops up and shows through the keyhole. On a £145 dress that just would not be good enough. It's not a bad length on me, considering I'm quite tall (5'9"), but I wouldn't wear it with skyscraper heels as then it would be just a tad too short I think. So, it is worth the money? Not at full price, I'm sorry to say. I know I got a bargain with it, but I wouldn't say this dress has any more design or construction skill than one from Phase Eight or similar high street shops, where they'd probably retail it for half the price. They've sold out of the black version of this dress but the short sleeve coral version is still available, alas still at the full price of £125. I'm surprised you have trouble trying to find a vintage maxi, our Curtise is the same height as you and has an endless supply of beauties. I love this maxi dress so much. The ruching on the waist is pretty and very flattering. You look fabulous! I've never worn a maxi dress before, but I'd be willing to if it looked as flattering on me as it does on you! I love how the waistline is defined and how it skims your ankles-- such a great length (and I love those shoes!). 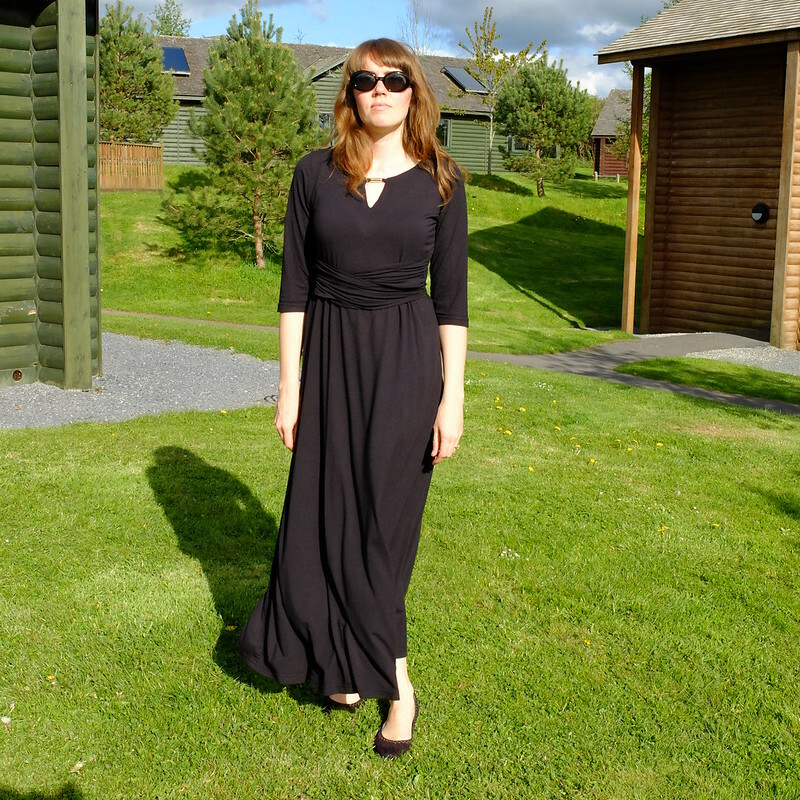 The maxi looks fab on you, but the gaping keyhole is, as you say, not something you expect for the original asking price. That's more than Boden, and they're really pricy! I love the look of this! And I totally get you with maxis and uncharted territory, that is me and the maxi skirt. The dress looks great on you, but I agree - for the full price, you would expect better construction. The gathered detail across the waist is nice though, and for a tenner, it's fine! I read something about how sometimes for big sales, brands will bring in the stuff that's not quite up to snuff (or just more cheaply produced) so that people feel like they're getting a great deal, but they don't actually lose so much money on the item. Not that that's necessarily what this company does, I know it's not unusual with bigger brands here in the US. You look stunning in this dress! I love the detail at the waist and the keyhole neck! I like the look of this dress on you but I can tell you don't just in the photos. I hate when things just aren't what they should be. It's just so frustrating. Thanks for linking up with the Mummy Chronicles! 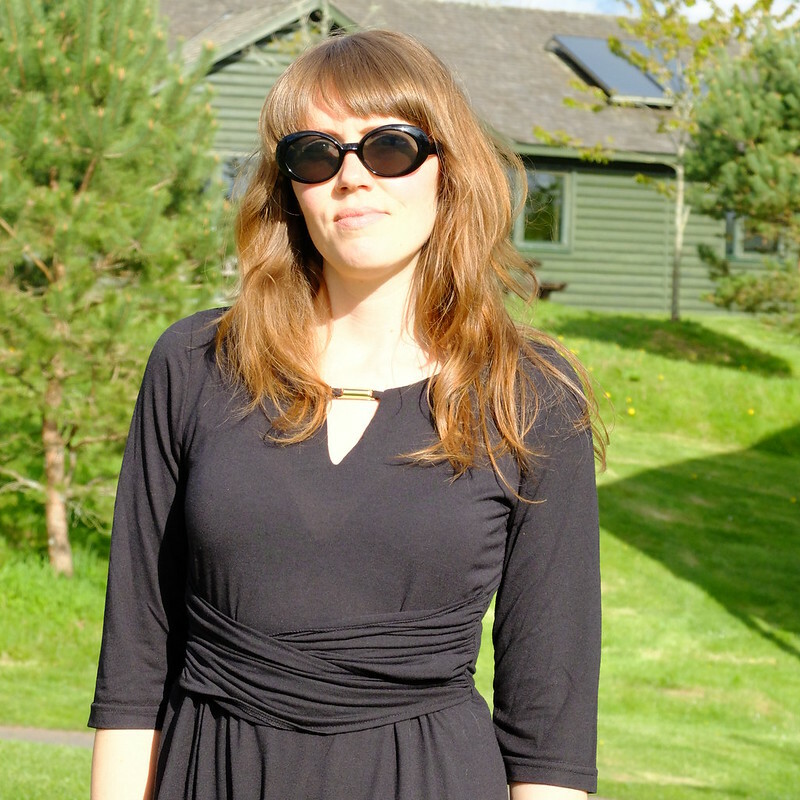 I have been really wanting a black maxi dress, I have seen a lot of bloggers style them nicely for the summer. When I saw the keyhole on the front I thought it looked really nice, but that is a bummer it is sort of a pain for the price! I am more on the taller side, too, but at 5'7. 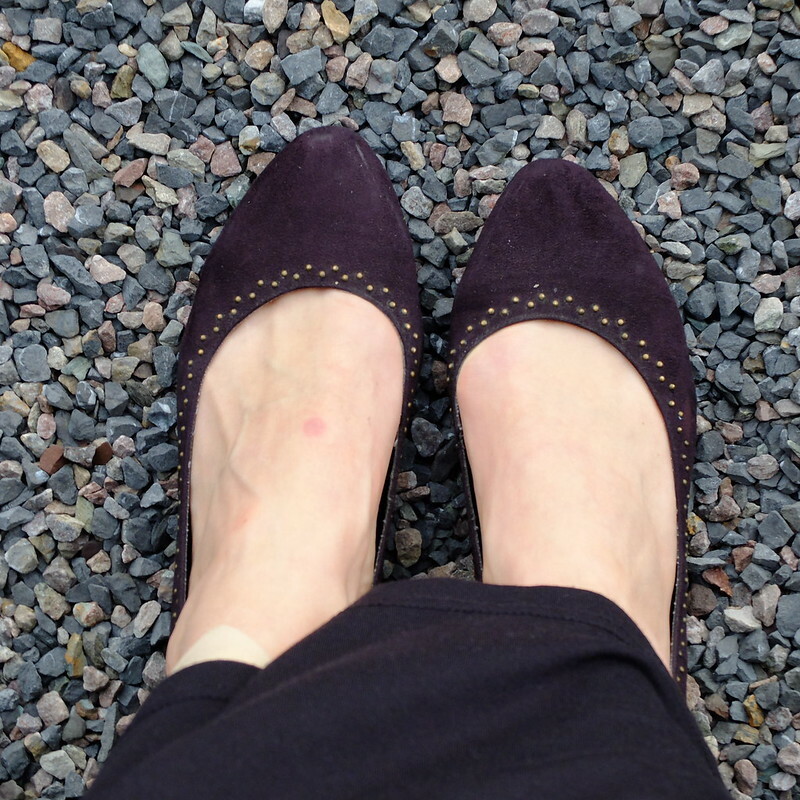 You look great and love the flats with it! What a beautiful dress! 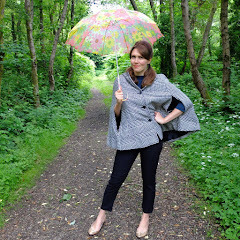 I love the wrap waistline and the little gold detail in the neckline. This dress looks AMAZING on you! Gorgeous! I'm a big fan of maxi dresses this year too! 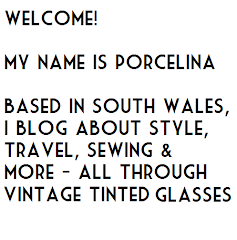 Thanks so much for linking up for Passion4Fashion! What a great review. It is so true...you really need to consider how comfortable you feel in a dress at that price point. All details should be well thought out and it sounds as though they still have some kinks! I would love to have you co-host #reasonstodress with me next month if you are up for it! I think this dress looks great on you. I have to agree with you that I get so annoyed with extra materials that sticks out like a keyhole. I can't believe they make things down to such low prices but I guess that's smart marketing since it drives so much traffic. It fits really nice, too bad it does perform as the expensive item it is.. I love to wear maxi dresses, and this one is gorgeous so feminine and flattering, Hot Squash has a really nice stuff.